There are a few less impossibilities in the world of North American licensing of anime these days. The Right Stuf is giving the Gundam franchise its second shot here. There are simulcasts for almost everything Funimaton licenses, including English-dubbed versions. Yen Press is licensing the Baccano! novels. JoJo's Bizarre Adventure anime is getting a bilingual release here. 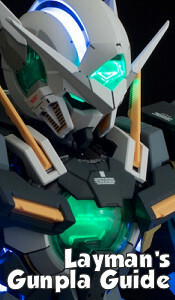 And maybe Macross is still in Harmony Gold limbo and we still haven't gotten that Rebuild of Evangelion 3.33 release from Funimation (not that I'm looking forward to that dreck, except to tear it a new one), but at Anime Expo this year, an earthshaking announcement was made. Sentai Filmworks has licensed Legend of the Galactic Heroes. Yes, the people whose illustrious catalog includes seminal "classics" as Girls and Panzer, Log Horizon, Listen to me Girls, I Am Your Father, and I couldn't become a hero, so I reluctantly decided to get a job, have licensed what is probably one of the greatest anime of all time, a sweeping masterpiece sci-fi epic. It might not sell nearly as well as, say, This Boy Can Fight Aliens! or Tamako Market, but barring any major flubs, it has my money. But I realize that while some of the people who read my reviews might be familiar with this franchise, there are plenty who may not be, which is why I've decided to make this little primer to get you up to speed on what to expect from it. You might be asking yourself, "What is the big deal about this thing? What is it even about?" 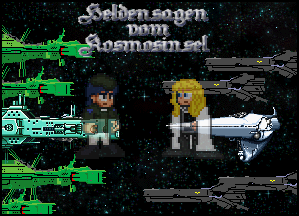 After all, Legend of the Galactic Heroes is a pretty generic, vague title, and it seems to summon visions of big, heroic interplanetary superheroes fighting alien threats, punching space monsters in the face, bedding green women, and flying to distant galaxies in snazzy rocket ships helmed by sassy robots. But it's nothing like that. Because, you see, it's Star Wars, except none of the things that you enjoy about it. Well, that's not selling it very well, so I'll just describe it like this: There's a Galactic Empire ruled by an autocratic government headed by an Emperor (really a "Kaiser") that's at war with a rebel (Free Planets) Alliance in massive space battles where there are hotshot fighter pilots. And the first part of the series concentrates a lot on a battle over a giant space station that has a giant laser weapon. Some characters fight with medieval weapons, there's a young, blonde orphan as (one of the) main character(s), and another character is a dashing rogue who's done business with the Empire before. There are few women characters, the score is orchestral, and there's a new chapter coming out soon. I mean, come on, don't you see it?! Okay, I had to stretch some of those similarities a little, but barring the missing telekinetic magic, laser swords, and aliens, it can easily be seen as Star Wars But With Politics. But not Phantom Menace boring, because there's no expectations of sassy robots or giant space slug gangsters. LoGH is a series about two warring factions, one autocratic, one democratic, and the narrative refuses to ouright promote or condemn either side more than the other. There's very few wholly evil people, and evil acts are often cloaked in pragmatic application. There are also very few genuine white hats, either, though the show boasts that all of these characters are, in their own way, heroes. A more succinct, accurate summary would go like this: It's the far flung future, and humanity has moved on from Earth to settle on distant planets in other galaxies, where two major factions vie for control, the Galactic Empire and the Free Planets Alliance. The former is a centuries old government ruled by nobles, which has become increasingly decadent and limp, and a man named Reinhard von Lohengramm looks to seize power for a very simple original motivation: to save his sister, the Kaiser's concubine. The Free Planets Alliance, meanwhile, is also in its waning years, a bloated, self-righteous, so-called democracy whose inferiority complex runs deep, and its heady ideals of freedom and justice are often contradicted by the vested self-interests of its politicians and military officers. A man named Yang Wen-li, a strategist in the military, struggles to keep himself and his comrades from being obliterated by the poor decisions of his superiors. While that is a pretty distilled description of the premise of the series, it doesn't do nearly enough justice to its execution. The political underpinnings, the philosophical musings, the rich, developed characters and lived-in environments, the intricate interactions, the narrative and thematic integrity of it all is difficult, if not impossible, to completely account for in any primer. I will just say that it's compellingly involved, and while it might not hook you from the get-go, when it does get you, you'll be in too deep to get out until the end, trust me. The first "season" sees both major factions recovering from a battle with each other only to run headlong into internal conflicts. The Galactic Empire's two factions fight a civil war while on the FPA home front a military coup stifles civil liberties. The second season sees an all-out showdown between the Empire and the Alliance whose effects are felt throughout the remainder of the series. The third season features some startling sudden changes and the fourth sees tragic figures fall from either pride or the capriciousness of mortality, or sometimes both. The anime actually begins with a movie that leads into the OVA, where Reinhard and Yang meet on the battlefield (so to speak, they don't meet in person) for the first time during one of the attempted invasions of the Iserlohn Corridor (Irserlohn Fortress is that Death Star-ish space fortress I mentioned). 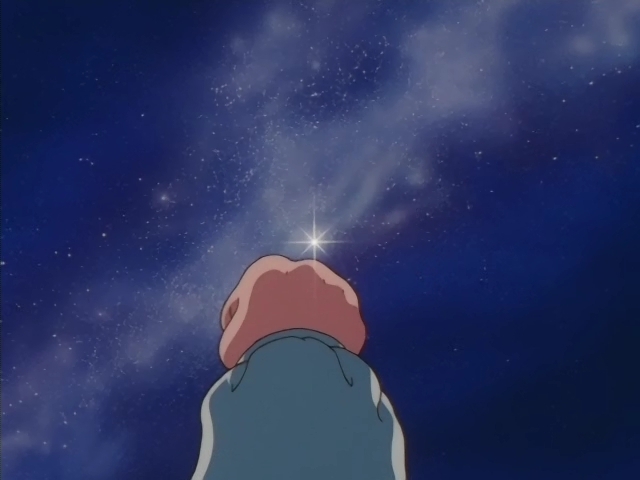 You can get the general impression of the tone and execution of the animated version of the franchise from watching this alone, so in a way, it is also a primer, or at least a good basic foundation in terms of how the series works. The size of the cast is possibly as large, or larger, than the number of episodes themselves. Even the central named players are large in number. Fortunately, for a good deal of the series, the names of these characters appear below them on the screen so you can better adjust yourself to their often difficult-sounding (and spelt) monikers. Spaceships, planets, and other things and places are also given this treatment. However, in case you're dying to know a little about these characters ahead of time, I'm more than happy to oblige. Assisting Reinhard in his ambitions are loyal friends and subordinates. While his sister, Annerose, is the spark of his mission, he wouldn't have gotten as far without Siegfried Kircheis. The fair-tempered, red-haired neighbor and confidant grew up with Reinhard and now serves closely to him and helps reign in some of his more reckless compulsions. The twin pillars of Reinhard's growing fleet are the "Gale Wolf", Wolfgang Mittermeyer, a family man, and "Bewitching Eyes" Oskar von Reuenthal, a ruthless lady's man with heterochromatic irises. There's the battle-hungry, hotblooded Fritz Joseph Bittenfeld, the cold and calculation Paul von Oberstein, the poet-warrior Ernest Mecklinger, the silent Erst von Eisenach, and wise and brave Ulrich Kesler, all among Reinhard's group. But there's also internal enemies such as capital "d" douche nozzles, Otho von Baunschweig and Flegel, and sadistic brute Ovlesser. Yang has surrounded himself with some interesting colleagues, too. His ward and protoge Julian Mintz, the Robin to his Batman, for instance. Yang's aid with the photographic memory, Frederica Greenhill is another ally. There's also the youngest admiral in FPA history and personal friend of Yang, Dusty Attenborough, leader of the elite Rosen Ritter squad, Walter von Schenkopp, and Alex Cazellnu, the responsible counter-balance to Yang's casual attitude. We even get a couple of hotshot fighter pilots, sarcastic skirt-chaser Olivier Poplan, and rational but witty Ivan Konev. The FPA also has its obstacles for Yang, including manipulative politicians like Job Trunicht, incompetent blowhards like Paetta, and overreaching, wormy zealots like Andrew Fork. It often appears that the greatest threat to Yang's desire for peace (and retirement) is the overreaching FPA government and military. One of the most fortuitous aspects of this large cast (and my list up there just names some of the main players) is not just that you get a good range of the various people who live in the universe of the narrative, you also get an all-star Japanese cast out of it. It's a who's-who of voice talent, including Ryo Horikawa, Kei Tomiyama, Nozomu Sasaki, Toshio Furukawa, Norio Wakamoto, Shuichi Ikeda, Tohru Furuya, Sho Hayami, Kotono Mitsuishi, Daisuke Gouri, Yoshiko Sakakibara, Hirotaka Suzuoki, Goro Naya, Keiko Han, Ryusei Nakao, and so many other prominent 80s and 90s talent you'll be swimming in stars just watching this. Who could they possibly get to dub this in English that could do even half as well as this cast? Well, the likelihood of Sentai dubbing this is remote, anyway, so perhaps the point is moot. 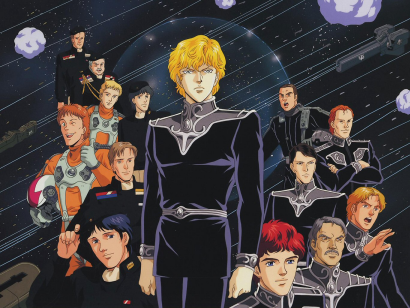 While it can't make the mega-long runners like Dragon Ball Z or One Piece sweat, Legend of the Galactic Heroes, which is based on a series of novels (real novels, not light novels) by Yoshiki Tanaka, is fairly lengthy. The anime consists of a 110 episode OVA (that can be separated into four distinct parts by OP and ED), two movies, and several side story ("gaiden") OVAs. Even the number of books is a good size, with 10 main novels and 4 side story books that fill in gaps in plot points from the main series. The details of Sentai Filmworks license are sparse at the moment, but let's assume that, at the very least, we'll have 110 episodes of the main OVA continuity. I can't be sure what format they'll be putting that in. It seems prime for streaming at that length, but I'd personally be willing to buy it on DVD and/or Blu-Ray, if it isn't obscenely expensive. They could break it up into the four "seasons" (not really seasons, mind you, as it was an OVA), put each on a set for about 60-70 dollars each, package it with a character guide and a poster, and I'd buy that. Maybe hire the fine folks at Central Anime, the group that's fansubbed it for years, to do the official subs. 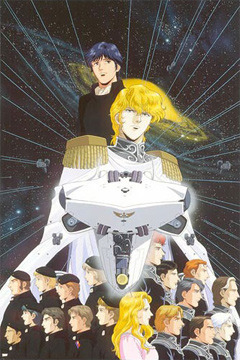 I think the best thing to do, though, would be to test the waters for a wide physical release by first releasing the first two LoGH movies, My Conquest is the Sea of Stars, which takes place before the OVA, and Overture of A New War which is a higher budget retelling of the first couple of episodes with a few new scenes. They could package them together and I'd buy them this very moment, even if it was a no-frills, sub-only DVD release. Of course, I'd prefer it on Blu-Ray. To say that I'm a little interested in buying a physical copy or watching a legal stream of Legend of the Galactic Heroes is not unlike saying I'm a little interested in breathing. 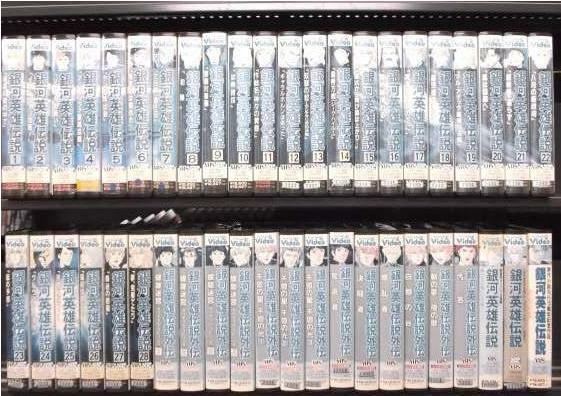 I feel like if I could ever "complete" my anime collection, I would definitely need this series before I closed up shop. With this, the possibility of the Zeta Gundam Blu-Rays on the horizon, and perhaps even Evangelion on Blu-Ray (it's coming out in Japan, so why not here? ), this is an exciting time to be an anime fan. Now if only we could get a good Space Battleship Yamato release here.